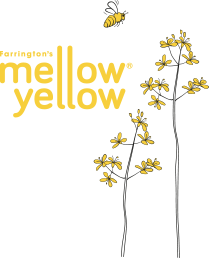 www.farrington-oils.co.uk is owned and operated by Farrington Oils Limited whose registered office is Bottom Farm, Brook St, Hargrave, Northamptonshire, NN9 6BP, United Kingdom. ‘Personal Information’ is defined in the Privacy Act 1993 as information about an identifiable individual, i.e. information about a natural person as opposed to information about a company or other legal entity; and which is in a form which enables that person to be identified. Such as… your name and email address. Information that you provide. We may collect personal information (for example your name and email address) when you register for our newsletter or enter a competition. Information collected by us as you use the website. We may also collect information necessary to protect or enforce our legal rights or interests or to defend any claims made against us by any person (including you); or required by law. Provide you with information which we think may be of interest to you if you have provided your consent for us to do so. Contact you if we need to obtain or provide additional information. Check from time to time that you are happy and satisfied. If we require any personal information from you we will request that you send us a direct message or direct you to a secure form on www.farrington-oils.co.uk. We will not share any of this information with a third party unless we have given prior notice. We will not ask you to share any personal information on the page wall or publicly. Any personal information you provide to us via this site will be collected and stored by Farrington Oils Ltd.
Use of ip address and ‘cookies’We may collect information about your computer including your IP address, operating system and browser type but this information does not identify you individually. A cookie is a piece of programming which enables us to customise services on our website to the interests of the user. For example, a cookie can be used to store registration information so that you do not need to re-enter that information on a subsequent visit to the site. We may send cookies to your computer while you are accessing the Farrington Oils website. We use “cookies” for administrative purposes such as cataloguing traffic patterns throughout the site and can use a “cookie” to assign a “User ID” for this purpose. Cookies, by themselves, cannot be used to find out the identity of any user. If you have a user ID this will automatically identify your computer (but not you) to our servers when you visit our site. Unless you specifically tell us, we will never know who you are, even if we do assign a cookie to your computer. This cookie tracks the source of a visit to the website, the pages visited and the time spent on each page. It does not collect personal data other than the user journey. This cookie is enabled when you upload anything to the website, for example, when you comment on the site or enter your details in a competition. This cookie is used to track a user for the duration of their visit so that a user’s page views are grouped together, and each visit doesn’t look like a different visitor. Some web browsers enable you to decline the receipt of cookies. If you utilise this function you will still be able to access this site albeit without some enhancement features. We respect the privacy of your personal information and we will take all reasonable steps to keep it strictly confidential. We will only disclose your personal information without your consent if this is necessary to protect or enforce our legal rights or interests or to defend any claims made against us by any person (including you); necessary to lessen a serious threat to a person’s health or safety; or required by law. We may disclose your personal information to third parties only for marketing purposes provided that we have had your direct consent to sharing such data or to service providers who manage aspects of our operations – for example third parties who provide technical services to the website. We may record and store personal information which we collect from you and where we do so we will take all reasonable steps to keep your personal information secure and prevent unauthorised disclosure; and to keep your personal information accurate and up-to-date. However, we do not promise that your personal information cannot be accessed by an unauthorised person (e.g. a hacker) or that unauthorised disclosures will not occur. At any time you may request us to provide you with a transcript of any of your personal information we have stored and recorded by contacting us at Farrington Oils Ltd, Bottom Farm, Hargrave, Northamptonshire, NN9 6BP. You have the right to request the deletion or removal of your personal data at any time. This an be achieved by contacting us at Farrington Oils Ltd, Bottom Farm, Hargrave, Northamptonshire, NN9 6BP. By phone: +44 (0) 1933 622809. By email: hello@farrington-oils.co.uk. We will action your request as soon as possible, but in any event, within 14 days.